Harley Clarke mansion, 2603 Sheridan Rd. Aldermen will vote on a lease agreement with Evanston Lakehouse and Gardens for the mansion Monday night. Aldermen will vote on a 40-year lease agreement with Evanston Lakehouse and Gardens for the Harley Clarke mansion and consider a taxicab ordinance at Monday’s City Council meeting. If approved, the Harley Clarke lease would end a multiyear approval process and would require Evanston Lakehouse and Gardens to raise $5 million in funding over 10 years. The ordinance to authorize the lease would also make code-related improvements to the mansion in order for the city-owned property to be open for public use by May 2023, according to city documents. The historic mansion, located in north Evanston along the lakefront at 2603 Sheridan Rd., has been vacant since the Evanston Art Center moved out of the building in 2015. 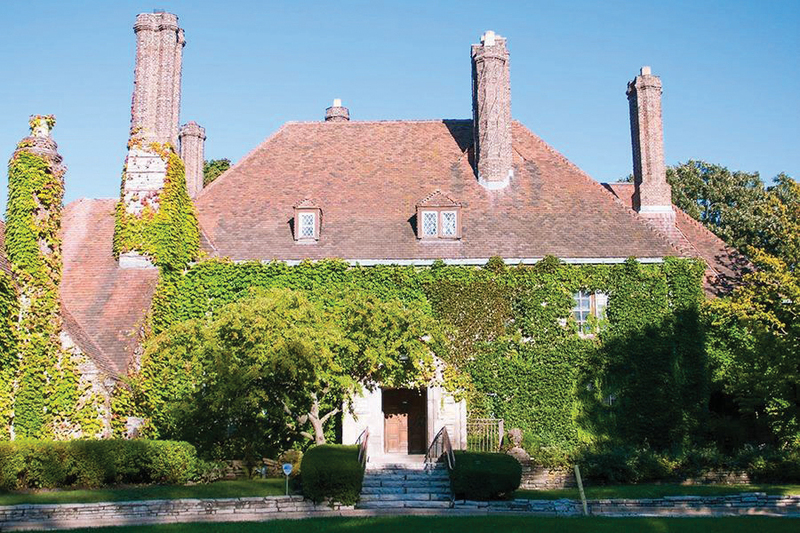 In November, aldermen authorized the city to draft a contract to renovate and lease the mansion — which includes lakefront access, a greenhouse and a garden — with Evanston Lakehouse and Gardens. If the contract is approved, Evanston Lakehouse and Gardens will begin two phases of improvements, the first of which includes the mechanical, electrical and plumbing upgrades, according to city documents. The first phase has a fundraising goal of $2 million, and a second fundraising goal of $3 million will need to be met by the end of the 10th year of the lease, according to city documents. City documents state that if Evanston Lakehouse and Gardens fails to meet the designated funding benchmarks, the city has the right to end the lease and retake possession of the property. The second phase of the renovation includes the restoration of the coach house and parts of the main structure that were not updated during the first phase. The lease does not specify a deadline for the second phase of improvements, according to city documents. Evanston Lakehouse and Gardens was founded in 2015 to restore the mansion and has received more than $90,000 in donations for the project, board president Tom Hodgman said in October. The Harley Clarke lease ordinance requires a two-thirds majority vote of the council to pass. The council will also consider an ordinance regarding a taxicab program for senior citizens and residents with disabilities. As the boundaries of the program were extended to include Wilmette, Skokie and Lincolnwood, the city’s taxicab program saw an increase in usage between Oct. 1, 2016, and Sept. 30, 2017, according to city documents. Because of this increased usage, the city saw a significant cost increase, causing city staff to search for ways to make the program more cost effective. The new ordinance would change the boundaries of the program back to just the corporate boundaries of Evanston and increase participant shares from $4 to $5, according to city documents.